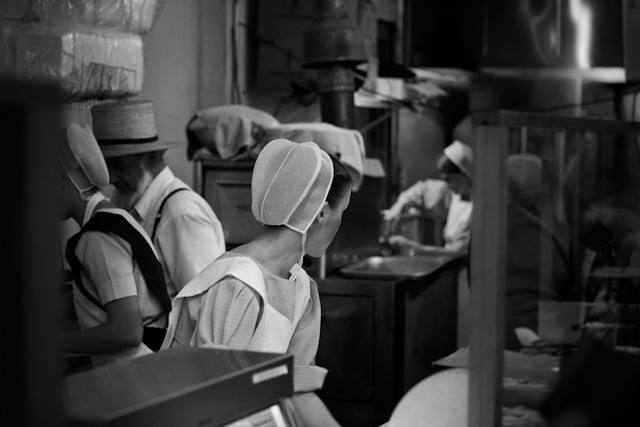 Young Amish girls feverishly manage their pretzel stand as a steady line of customers passes through, Gratz, PA. I like pretzels. Especially with mustard.